4 Hikes if You Have an Hour | Visit Arcata! Stretching your legs after the scenic drive to Humboldt is a great idea. Here are 4 hikes, each in completely unique microclimates, to enjoy in short order. 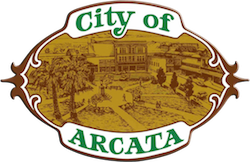 An eco-friendly solution to managing the city’s gray water, Arcata’s wastewater treatment facility supports 307 acres of freshwater marshes, tidal sloughs, and grasslands at the Arcata Marsh. Situated on the Pacific Flyway, thousands of migratory birds pass through the Marsh on their annual journeys south. 5 miles of dog-friendly walking and bike trails have made the Marsh a special place to get some fresh air and enjoy the avian ambiance. Park at the Interpretive Center at 569 South G. Street to pickup a map and learn more. 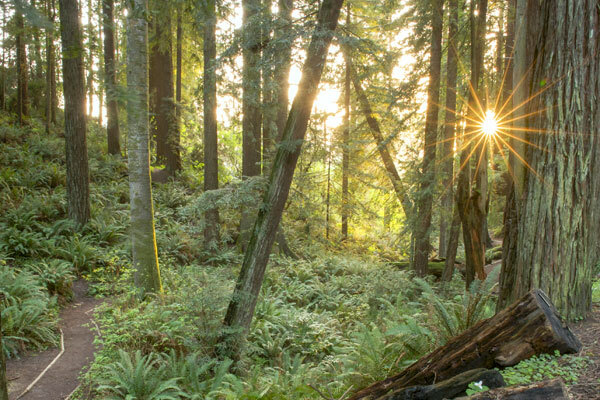 Bordering Humboldt State University, the Arcata Community Forest is a 790-acre preserve of stately redwoods, only blocks from downtown Arcata. A roller coaster of trails crisscross the forest, making it a lush playground for mountain bikers and haven for walkers and joggers. Beautifully maintained by the city, idyllic bridges and wooden stairways connect the nest of trails. It can be easy to get lost… if you want to! Park at nearby Redwood Park for a map or ask for directions from the locals enjoying their daily hour of zen in the forest. Picking your way along the farm roads to the Mad River Bridge on the Hammond Trail, it may feel like you missed a turn. But enjoy the pastoral scenery, listen to your GPS and have faith! All said and done, it’s only a ten minute drive from Arcata. A small parking lot sits just below the pedestrian bridge that spans the Mad River – start here. The Hammond Trail parallels the coast for 5 miles, ending at Clam Beach in McKinleyville. The wide trail passes through Hiller Park, where public restrooms are available, and is extremely dog and cyclist friendly – a great option for the whole family. Start your outing at the Humboldt Coastal Nature Center, where you can learn about conservation efforts to protect the coastal ecosystem and marine wildlife. Housed in an earth shelter kit home constructed in 1985, the building is now maintained by the non-profit, Friends of the Dunes. Parking at the Nature Center, start your hike directly behind the building, where a sign points you down the well-marked Wildberries Trail. Continue through the rolling dunes, decorated with unique coastal fauna and during the summer, native wild blackberries. Though only 0.3 miles to the beach, you’ll appreciate having extra time to trek through the sand and enjoy the panoramic oceanscape.